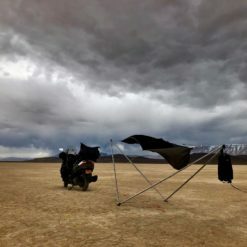 The product is four poles made of 28 segments of custom-made telescopic anodized aluminum tubing, four pole connectors, two guylines and anchors, one ridgeline, one baseline, and a bag. 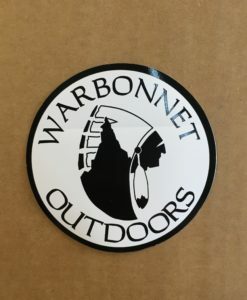 Easy to use, 1″ (25mm) webbing with cinch buckles for ridge, base, and guylines. 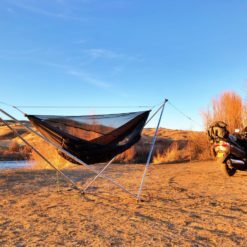 Can double as tree suspension. 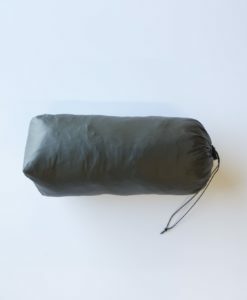 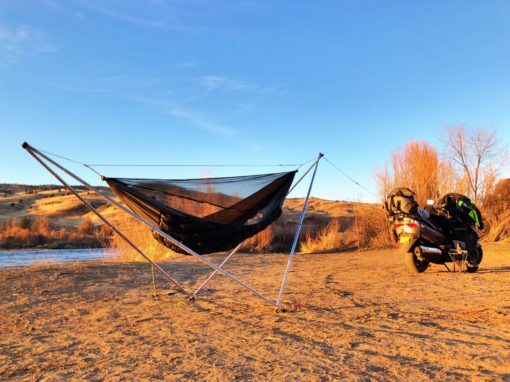 Tarp extensions for the Tensa4 hammock stand let you pitch tarps higher, for more headroom. 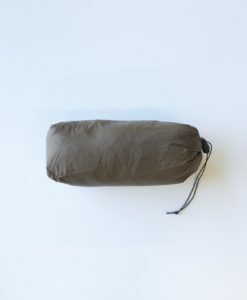 They also accommodate tarps wider than 11′, up to 13′ with gathered-end hammocks, for more complete coverage. 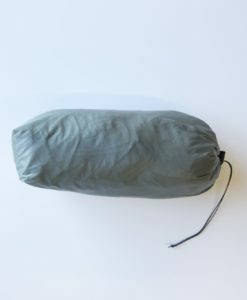 See the setup instructions for detail. 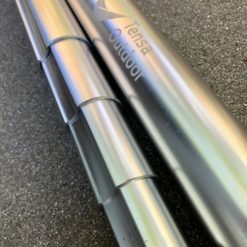 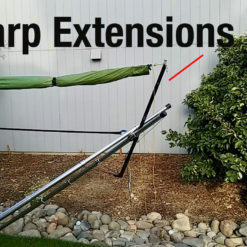 You can use tarps with Tensa4 without anything extra, but these extensions give better results, for modest additional weight and bulk. 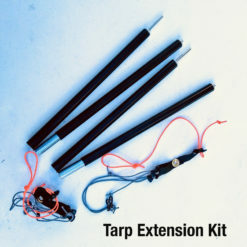 Extension set consists of two 19mm shock-corded 7000-series aluminum poles with end pegs, and two mounting assemblies made of grosgrain, LineLoc 3 tensioners, cordage, and hooks. 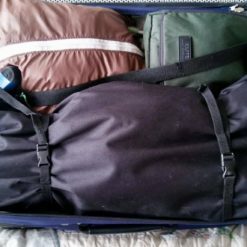 A set fits inside the Tensa4 carry bag, about 12 ounces/340g.